When a local newspaper here in Montana called for my views on a 19-year-old wrestler named Dzhokhar Tsarnaev with the confusing pedigree of being a Chechen from Dagestan who was reportedly born in Kyrgyzstan but mostly grew up in the United States, and what his motivations for the Boston Marathon terror attack may have been, I tried to use my background as the resident “Chechenologist” to help out. question—“Why?”—was easy: I did not know Tsarnaev’s motivations. But if he is guilty of the bombings—and I have little doubt at this point that he is—there must be a link to the deeply troubled history of Chechnya, and to the generations of anger, despair and trauma experienced by his people. During the Murid wars of the nineteenth century, the Chechens were the backbone of Muslim tribal resistance to czarist expansion, earning their reputation as fearless Sufi-inspired warriors. After the resistance collapsed with the capture of Imam Shamil (an event somewhat akin to the surrender of Sioux/Lakota chief Sitting Bull), many of those warriors took their skills into exile, serving the Ottoman Empire in problematic border areas such as the Balkans and the Arab lands of the Levant, where they became known under the generic name Circassians, a term that includes related North Caucasus mountaineers such as the Ingush, Abkhaz and Adyghe, who were also driven into exile by the czars. The ceremonial guard of Jordan’s king are Circassians; in Syria, they are (or were) concentrated in the Golan Heights but are now attempting a reverse migration to their ancestral lands in Russia, even while undetermined numbers of their “cousins” from Chechnya-in-Russia take up arms alongside jihadists against the secular Syrian regime of Bashar al-Assad. In the 1920s and ’30s, the Chechens maintained a low-boil resistance to Soviet rule and collectivization. But it was also thanks to Joseph Stalin and his commissars that Chechnya was first defined as an “autonomous republic,” a territorial entity replete with borders, an official “culture” and other Soviet-style attributes of statehood. Chechens, roughly half of the exactly 478,479 who were exiled died en route. The Vysl, or Deportation, became the defining event in Chechen collective memory, as resonant as the Trail of Tears for the Cherokees, the Retreat of the Nez Percé or the Holocaust of Europe’s Jews. In the gulags and collective farms of Central Asian exile (mostly Kazakhstan and Kyrgyzstan), the Chechens honed their reputation for toughness. Some remain in Kyrgyzstan to this day, having chosen not to return to their homeland after their rehabilitation by Nikita Khrushchev in 1957. Those who did return to Chechnya did so with a collective bad attitude as well as a reputation for ruthlessness and organized crime. Ichkeria in 1994, a military adventure that was also intended to serve as a distraction from serious problems in Moscow. But what was supposed to have been a small victorious war did not go well for the Russians. After the loss of some 90,000 lives, most of them Chechen, and the destruction of virtually all of Chechnya’s infrastructure, Moscow had to sign a humiliating cease-fire in 1996. The carnage was truly mind-boggling and begs comparison now to battlegrounds like Syria. I covered the Chechen conflict as a journalist for various Western media outlets, and while I went to Grozny, I spent most of my time in the small farm town of Samashki, which was subjected to a full-frontal blitz by Russian tanks and attack helicopters that killed at least 130 in a single day: April 7, 1995. The town was virtually razed once again, in March 1996. The PBS program Rights and Wrongs broadcast my material on the carnage as the “Samashki Massacre.” This led to the BBC asking me to do a follow-up on the aftermath that aired internationally in 1998, by which time I had come down with a bad case of PTSD. I do not know of a single observer of either of the Chechen wars—much less a participant—who was not scarred to his or her soul by the experience. General Dudayev did not survive the first war. In murky circumstances, he was blasted into collective memory by what is believed to have been a laser-guided missile homing in on his satellite telephone as he waited to speak with an (allegedly) American interlocutor working on a peace deal. True or not, to this day, many Chechens are firmly convinced of a US connection to the assassination. Even more galling was President Bill Clinton’s description at the time of the brutal Russo-Chechen war as somehow akin to the American Civil War. Then came the nearly suicidal capture of Grozny by the Chechen resistance in August 1996, which forced Yeltsin to the negotiating table. Despite its David versus Goliath victory over the Russian Bear, things did not go well for “independent” Chechnya. With Dudayev’s death, the tiny quasi-country slowly descended into lawlessness as well as an Islamist revival, thanks to the presence of Al Qaeda–connected fighters from the Arab world (many of whom had fought in Afghanistan), as well as even darker forces that many attribute to the KGB, now renamed the FSB. One result was the opening of an immense fissure in postwar Chechen society: on one side were the nationalists, who practiced a traditional form of Sufi Islam; on the other were growing numbers of Chechens whose devotion to the concept of an Al Qaeda–style Muslim caliphate superseded their loyalty to the Chechen nation-state itself. In 1999, when these Salafists began exporting their fundamentalist ideology to the neighboring (Russian) Autonomous Republic of Dagestan, and then (allegedly) blew up a series of apartment buildings in Russian cities, Yeltsin’s prime minister (and then replacement president) Vladimir Putin launched the so-called “second” Russo-Chechen war, which arguably continues to this day. Putin was assisted in this task by major Chechen defections, which further divided Chechen society into at least three groups: the Dudayevist nationalists, who continue their guerrilla war from forest hideouts in upper Chechnya; pro-Russian collaborators, known as Kadyrovists, currently in control of the Russian-backed government in Grozny, who participated on the Russian side during the brief war between Russia and Georgia in August 2008; and the Al Qaeda–associated Salafists, whose war has expanded from the Caucasus region to Afghanistan, Iraq and now Syria. Of note here should be the confused division/union between the Dudayevists and Salafists, both opposed to the Kadyrovists, whose utter brutality in the service of Moscow has arguably brought blighted Chechnya more real independence than anything Soviet Major General Dudayev delivered to his country by proclaiming titular independence. Tsarnaev brothers, declaring that the emirate’s jihad is against Russia, not the United States. Finally, there is what we might call the Chechen “fourth estate,” people so battered by the wickedness of fate that they left their homeland as refugees to start “normal” lives elsewhere—like Boston. According to reports from friends and family, this is the group to which the Tsarnaev family belonged—or appeared to until recently. 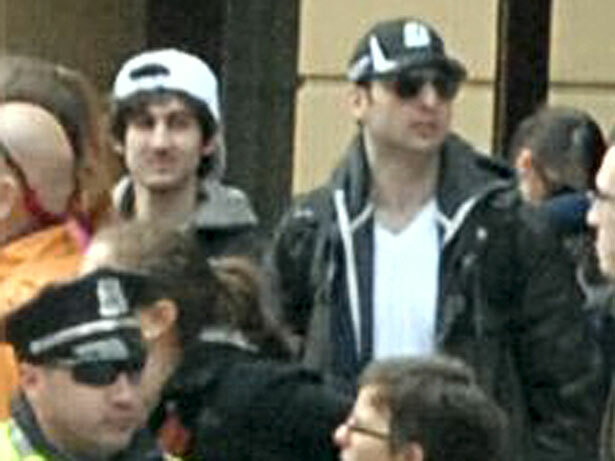 At the very least, it seems clear that Dzhokhar’s older brother, Tamerlan, and perhaps Dzhokhar too, identified with extremist Islamists, as opposed to the strangely and sadly divided Chechen nationalists associated with Dudayev, the ill-fated first president of that equally ill-fated post-Soviet republic. I guess it will all come out as Dzhokhar is interrogated and tried; now my suspicion lies with the brothers having abandoned their compatriots’ weird and horrible 200-year-old resistance against Russia to embrace the Salafist line of global jihad against the United States. Boston Marathon, as well as the soul-scarred citizens of the blighted state of Chechnya. Chechnya was the subject of a 2003 Nation article by Matt Bivens, who wrote about Putin's treatment of Russo-Chechen War refugees. Thomas GoltzThomas Goltz teaches courses on the Middle East and the Caucasus region at Montana State University. He is also the author of the “Caucasus Triptych” of Azerbaijan Diary, Chechnya Diary and Georgia Diary, as well as other books and articles. Chechnya Diary, published by St. Martin’s Press, is available on Kindle.